Assoc. Prof. Thongnard Kumchai , currently the dean of Faculty of Dentistry at Bangkok-Thonburi University, received his DDS degree from the Faculty of Dentistry, Chiang Mai University, Thailand in 1984. His residency training in Oral and Maxillofacial Surgery was at the Department of Oral and Maxillofacial Surgery at Chulalongkorn University in 1988. He was the Dean of the Faculty of Dentistry, Chiang Mai University during 2006 - 2014 and he was also an Associate Professor at the Department of Oral and Maxillofacial Surgery, Faculty of Dentistry, Chiang Mai University. He is a member of the Committee of the Thai Board of Oral and Maxillofacial Surgery, a member of the Thai Dental Council and a member of the Oral and Maxillofacial Surgery Society of Thailand. He is also the Chairman of the Academic Committee of the Thai Dental Council and of the Administration Board of the Royal College of Dental Surgeons of Thailand. 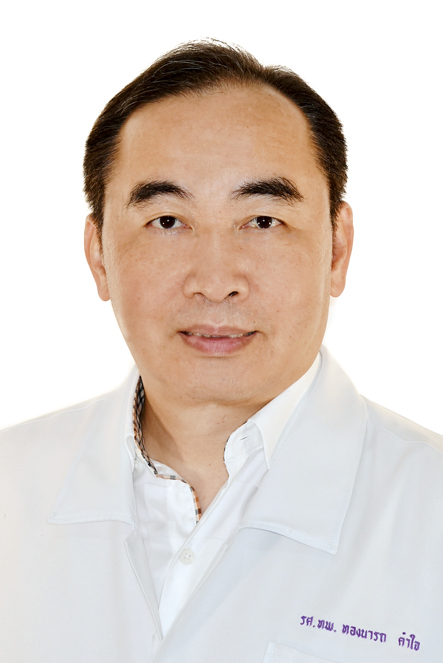 With the experience for more than 25 years, he is well-knowned lecturer in the field of Implant Dentistry domestically and internationally. Currently, he is nominated for fellowship position at ITI (International Team of Implantology) organization. He is also the program director of continuing education course in dental implant provided by GrandDent Educational Center.